Pastors, you are the church’s God-given shepherds and one of our main lines of defense against error. Therefore, helping to equip you to deal with the creation/evolution issue is one of the main objectives of Jesus Created Ministries (JCM). 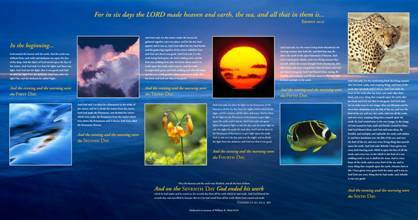 For this reason, we have worked with some of the leading creation ministries (Answers in Genesis, Institute for Creation Research, and Biblical Discipleship Ministries) to compile a collection of some of the best creation DVDs and books from these ministries (you can see the full list of materials below). The generous donations from JCM supporters as well as significant discounts from the ministries listed above have made this effort possible. As a result, we have 100 kits available with more than $250 worth (retail) of creation materials in each kit.